If there is one colour that almost everybody loves to sport at some point of time or the other, it is definitely black. A bold colour, it can be worn on its own or combined with any other colour or embellishments to add some drama to your style statement. This year, we saw a lot of B-town celebrities flaunting the best of black and making heads turn, especially in the festive season. 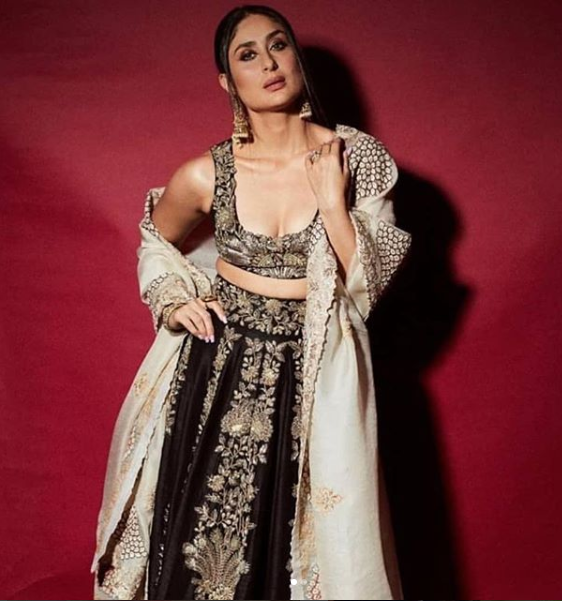 Kareena Kapoor sported a royal attire in a heavily embellished black and gold lehenga. Katrina Kaif looked stunning in a black Sabyasachi saree with sequin details. Alia Bhatt’s Diwali dressing was a black lehenga choli with floral embroidery. 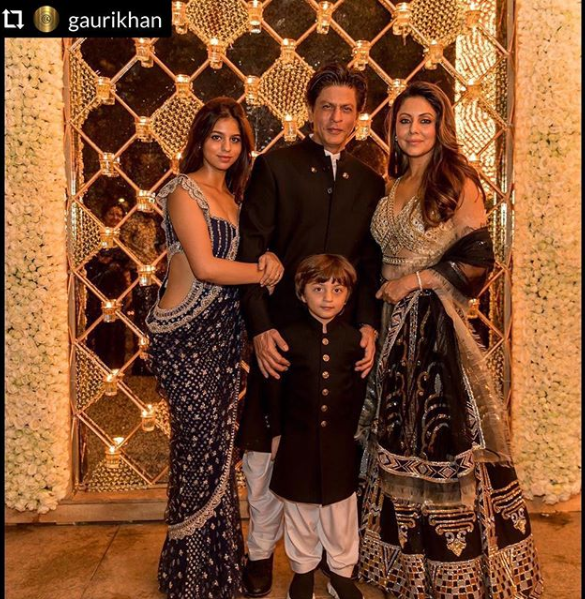 Shah Rukh Khan, Gauri Khan, Suhana Khan, and AbRam Khan in black and gold themed ensembles for Diwali. Malaika Arora sported a classic black lehenga choli with antique gold borders. Jacqueline Fernandez in a black and white ensemble with lace details. Karan Johar at a Diwali party in embroidered black velvet kurta and coordinated silk pants. Shraddha Kapoor slayed the colour this season in an-all black embellished lehenga with net details.